A great team of custom content creators have put together a fantastic mod pack, which includes new CAS items, objects, interactions, and a substantial overhaul of the game’s seasons. Aloha and Sul Sul! The Sims 4 Tropical Getaway Modpack (Requires The Sims 4 Base Game, Outdoor Retreat, Seasons and Jungle Adventure) is here for you. For free. This modpack is probably one of the biggest mod projects ever made for The Sims 4. 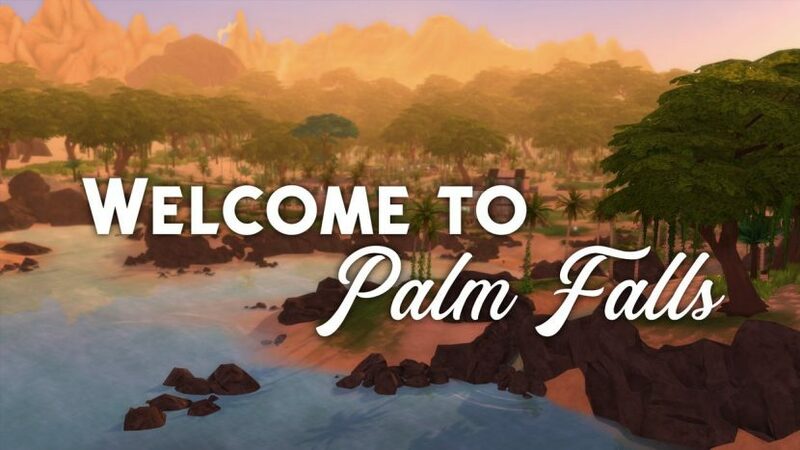 This modification doesn’t just transform the former world of Granite Falls into a tropical retreat called ‘Palm Falls’ – it also gives your Sims new ways to explore this destination, new gameplay, new clothing options and additions to your build-buy catalog. If you enjoy this full-blown mod pack I’d be very happy if you’d support this and future projects through this Patreon. The mod pack makes it possible for your Sims to swim in the ocean, something that I’m hugely excited to try!